Executive Director of Save A Smile. 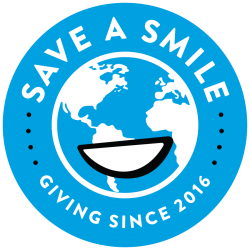 Cassidy’s goal for Save A Smile is to spread awareness about dental health across the world. With her connections in the Philippines, she can begin saving smiles and changing the lives of elementary school children. Continue Reading "Happy Toothbrushing! Say Hello to #2!" Continue Reading "Saving Smiles and Changing Lives"
Continue Reading "And the first one is complete!"